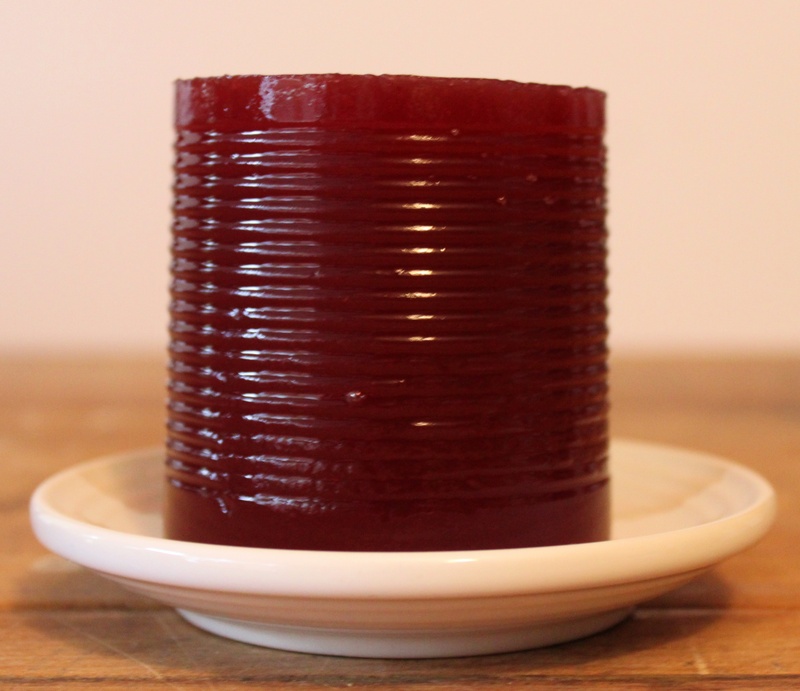 Whether y’all know it or not, November is obligatory cranberry sauce month. And I just love it. Reminds me of my favorite cocktail. It’s mostly made with corn syrup and gelatin. We can do better than that….and with less sugar. Add the first 3 ingredients to a medium-sized sauce pan and stir over medium heat ’till the agave has liquified – about 2 minutes. Then add the remaining ingredients, except for the honey, and stir. 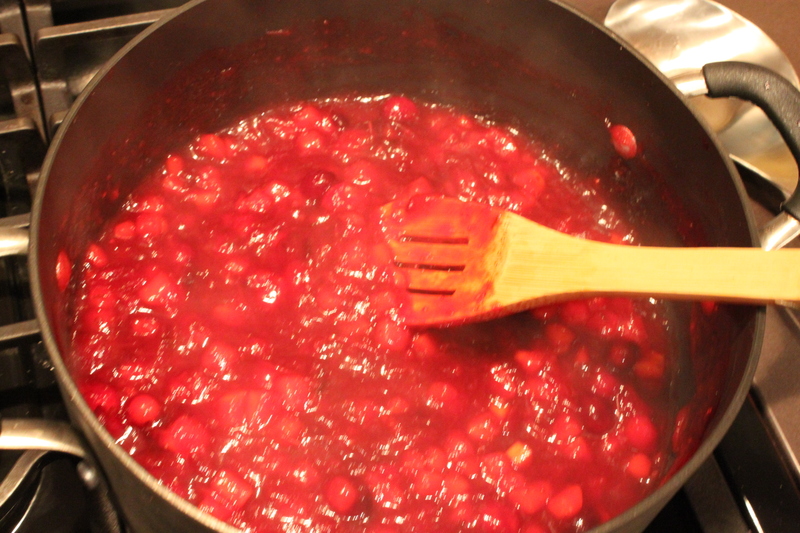 After about 5 minutes of stirring constantly; the cranberries have all popped and the sauce has thickened. Now, let it cool and add a small pinch of salt. 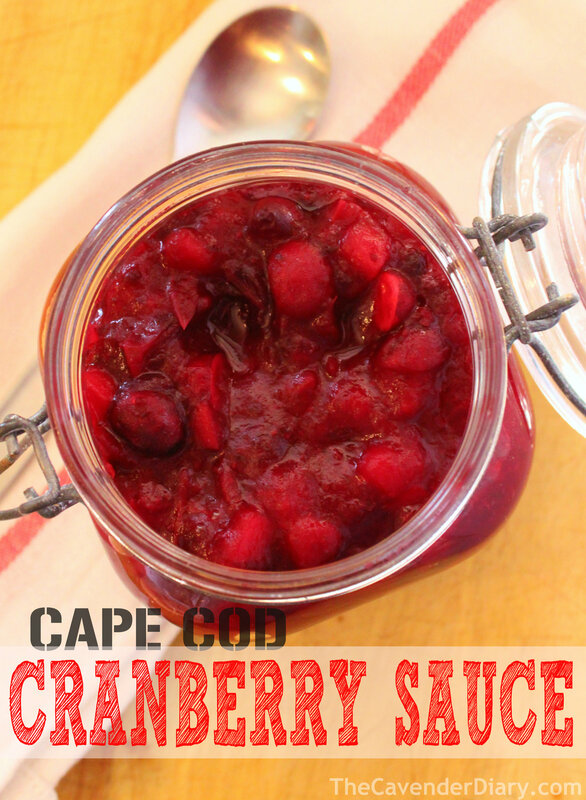 Spoon it into a jar….and serve it with roast turkey, or a soft cheese, or even spooned over vanilla bean ice cream. Every Thanksgiving, about mid-way through the meal, my Mother would drop her fork and yell out, “The Cranberries!! !” She’d then run into the kitchen and retrieve the forgotten condiment from the depths of the refrigerator and then spoon a large helping on everyone’s plate. …and it’s miles away from the slop in a can. What time is dinner tonight. I will be right over! Looks delicious ! Wishing you a. Wonderful Thanksgiving! Take care. 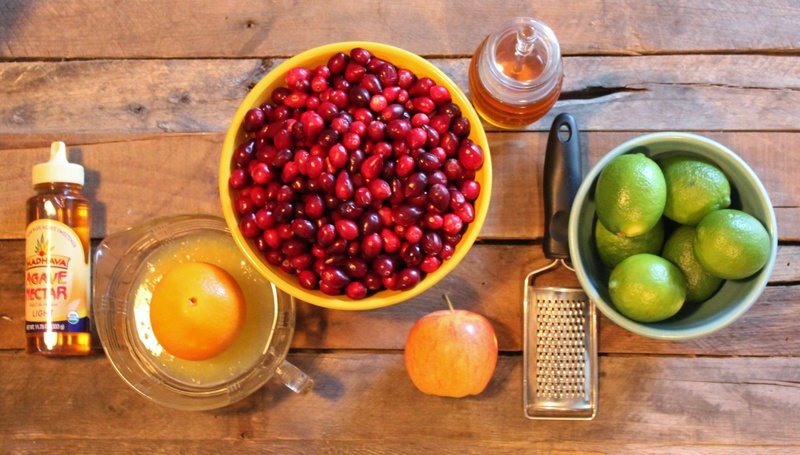 Are you saying that cranberries were completely “feral” before your family showed up? 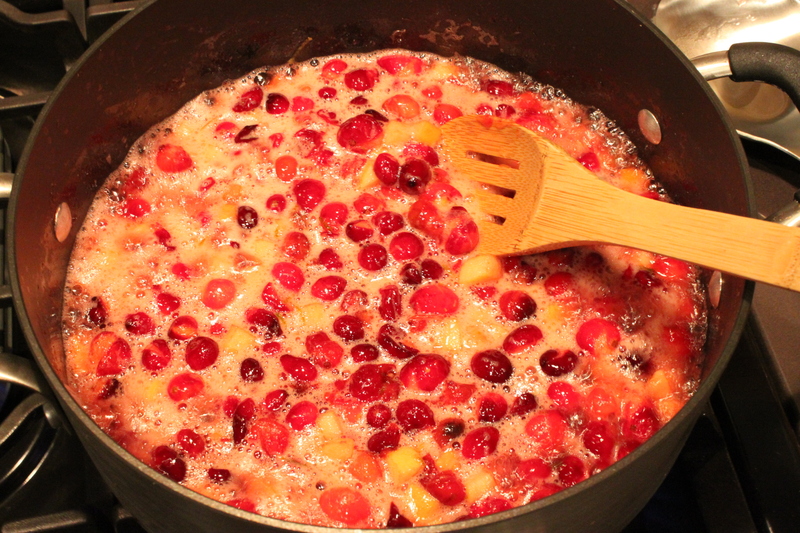 I make a Cranberry-Cherry-Walnut Sauce with fresh cranberries, dried tart cherries, toasted walnuts, orange juice, water, cinnamon, nutmeg, a little sugar and orange zest!!! It’s AH-mazing!!! 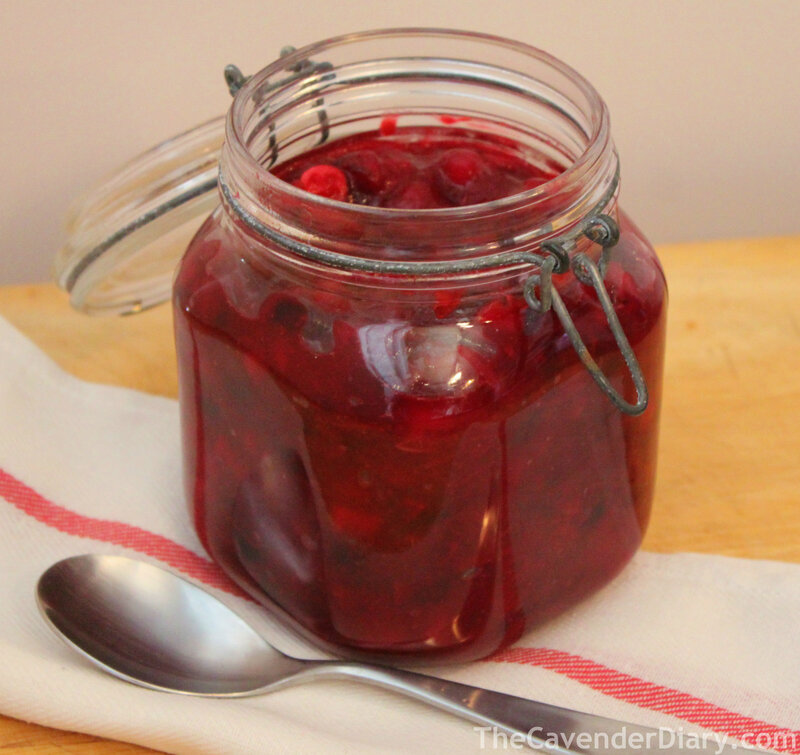 Growing up it was usually some sort of vegetable that was forgotten, but from time to time it was the cranberries too – i wonder if it’s a common occurrence in homes everywhere?. Happy Thanksgiving! In my house it’s always the rolls warming in the oven. That’s funny – I did your mother’s thing last Thursday! I like your recipe; ours is just the berries, OJ, and sugar. Will try yours next year. Oh and I had to retrieve our cranberry sauce from the “Canadian refrigerator,” aka the back porch. Actually, it’s more of a Canadian freezer right now! Elise! We used to use the garage for that when I was a wee “Yankee” child in 1970’s Ohio. I’ll bet that pourch keeps those Labatts nice and cold!!!! Can you make this the day before? Or does it take away from the quality? Also, I’m totally linking this to my post, so everyone knows I’m using your recipe because it looks awesome. I can’t wait to try it. Shared this again this year – I was so yummy last year! Thanks for sharing this recipe with the world, I love it! So glad you liked it!!! I plan on making mine tonight!! !